I hate it when you remove your nail varnish and your nails are stained yellow. Even with the use of a base coat, this happens at times. The only way to avoid this is to use a good base coat like Sally Hansen; I highly recommend their products. 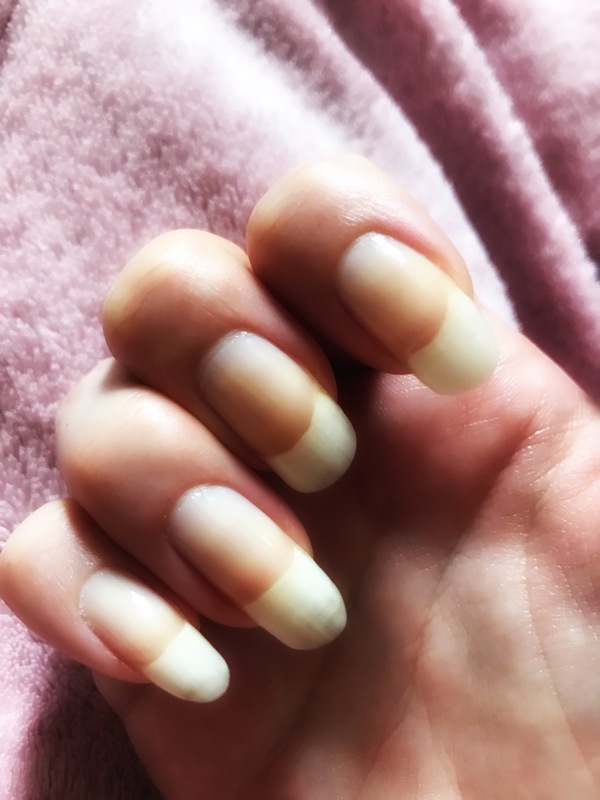 I decided to try some home remedies to remove the staining from my nails before I started to buff my nails, but this didn’t improve it at all. So I thought I would try this first; apply a small coat of whitening toothpaste on your nails. Leave it on for five to ten minutes. Then using a nail brush, scrub your nails gently, then wash the toothpaste off with cotton balls soaked in lukewarm water. Well, this didn’t work for me. I was disappointed, but then I need to try the other remedies. Lemon is a natural bleaching agent and it is said it can effectively clean off yellow stains. Well, let’s try. Fill a bowl halfway with fresh lemon juice. 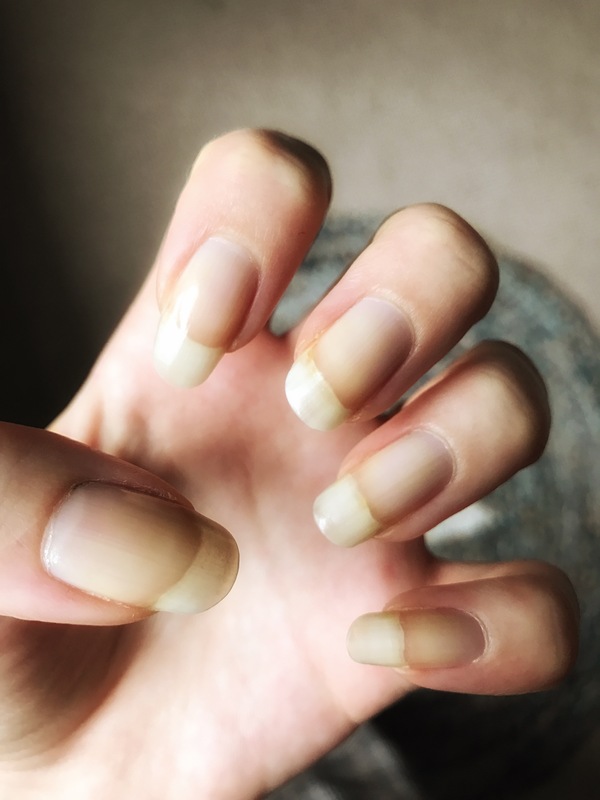 Soak your stained nails in it for 10 to 15 minutes. Then use a soft toothbrush to gently scrub the yellow discolouration off your nails. Finally, rinse your hands with lukewarm water and apply moisturising lotion to replenish your hands. Once again, this was unsuccessful! Wow, my nail varnish was a tough cookie and had stained my nails pretty good. Ok, so final test. Baking Soda! 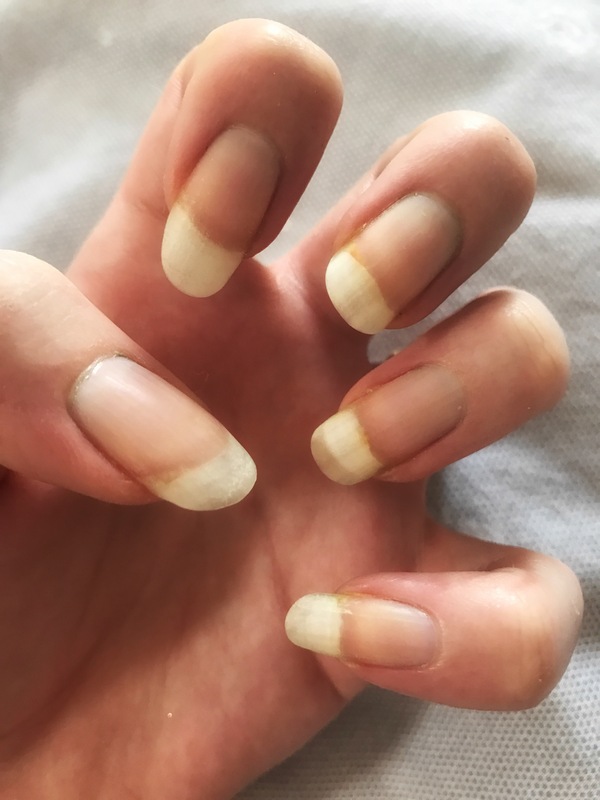 The bleaching and exfoliating properties of baking soda can help remove stains from the nails apparently, so let’s see. 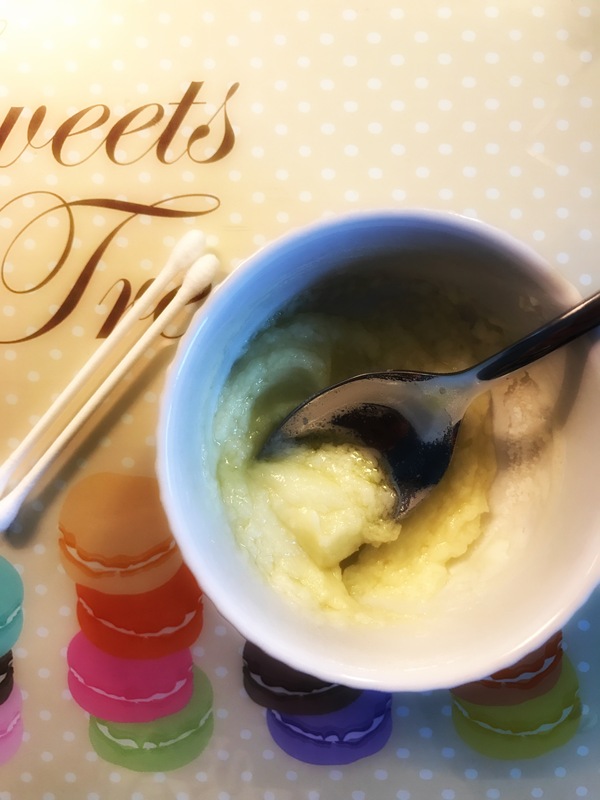 Mix one tablespoon of baking soda, one-half teaspoon of olive oil and one teaspoon of lemon juice, to make a thick paste. 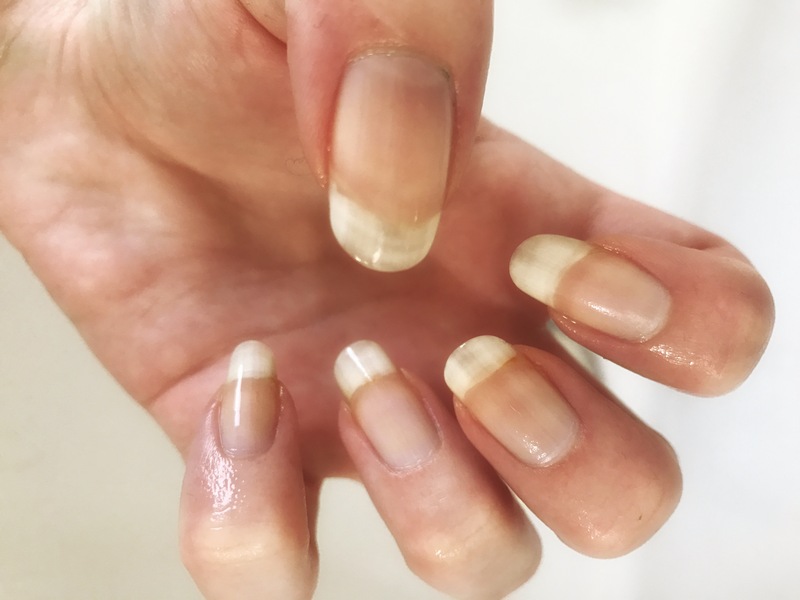 Rub the mixture on your nails using a soft toothbrush. Leave it on for about five minutes, then rinse off with warm water. Ok, so this didn’t work either! The next suggestion is hydrogen peroxide, but as I’m pregnant that’s off the list! What next then? I obviously had some seriously strong nail colour, so I asked my good friend Sara of Soul Sister Nails, her recommendations to help me. Apart from all that I had tried, she said they weren’t that bad. 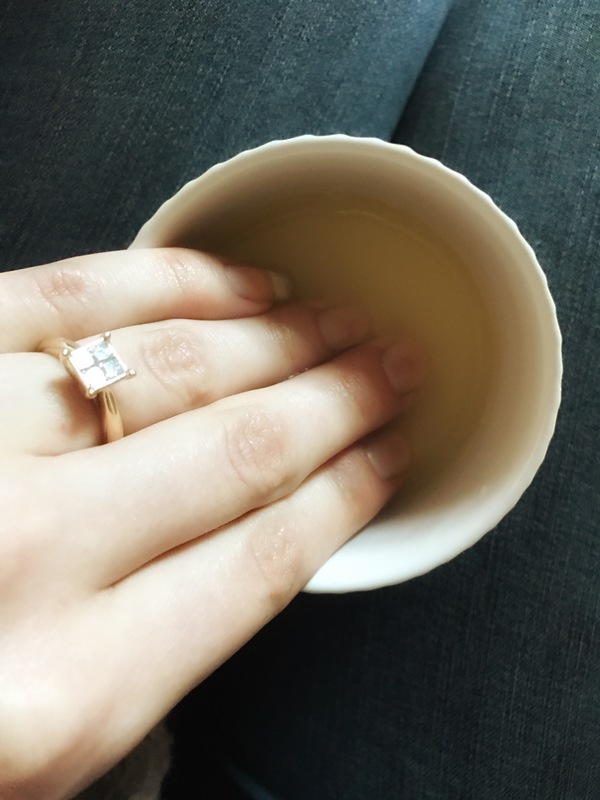 I decided to try and hide the staining by applying a pale pink over a base coat! A good, decent base coat! 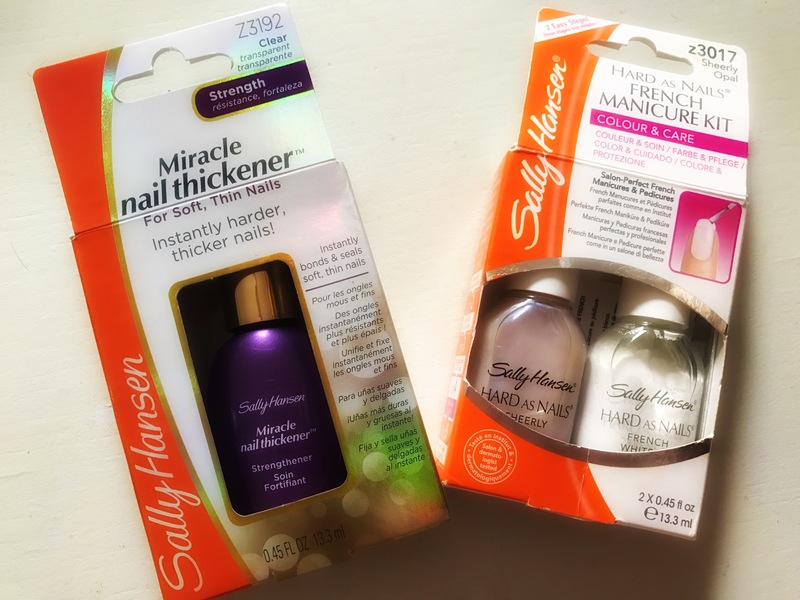 You get what you pay for, so again I’m going to recommend Sally Hansen range. I even used the hard as nails French manicure kit for the pink nails. Conclusion – Base Coat always and a good one!